I am an associate professor in the Department of Computer Science & Technology at Nanjing University, China. 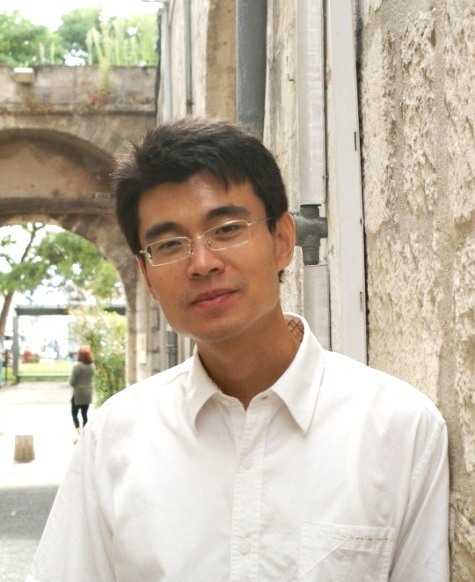 At the same time, I am also a research member of the Software Engineering Group (SEG) led by Prof. Xuandong Li , my Ph.D. supervisor. I received the B.Sc. (CUMT), M.Eng. (NJU) and Ph.D. (NJU) degrees in Computer Science in 2001, 2004 and 2009, respectively. From Sep 2007 to Sep 2008, I worked in the INRIA AtlanMod team led by Prof. Jean Bézivin, my co-supervisor in France. Currently, I am working at SnT of Luxembourg University as a visiting scholar in the SVV Lab led by Prof. Lionel Briand. The visiting period is from March to September, 2013. Software Construction, Spring 2009 (for undergraduates). Software Methodology — Model Driven Software Development, 2009, 2010 and 2011 (for postgraduates). My overall research interests relate to model driven aspects of software engineering, with the aim of facilitating the rapid and reliable development and maintenance of both large and small software systems. My recent work is focusing on MDE based embedded systems, including patterns driven MDE development, bridging heterogeneous models, formal support for design and analysis. MDE based Model Transformation: from MARTE to FIACRE, accepted by Journal of Software (in Chinese), 2008. MDA Based Design Patterns Modeling and Model Transformation, Journal of Software (in Chinese), 2008, 19 (9): 2203-2217. An MDE-based method for bridging different design notations, 1st IEEE International UML&FM workshop (hosted by ICFEM 2008), Japan, 2008. A Model Driven Development Framework for Enterprise Web Services. In: Proceedings of the 10th IEEE International Enterprise Distributed Object Computing Conference (EDOC 2006). IEEE Computer Society. Technique Report: Brief Introduction to UML 2.0 (pat I) (part II) (part III), SEG seminar, October 2005. We usually have seminar at Room 504, MengMinwei Building II every Wednesday. The topic of seminar is mainly round software engineering, model checking, formal methods, model driven development, software testing, etc. Our seminar is open to all faculties and students in our department. Software Engineering Group is founded by Prof. Guoliang Zheng and Prof. Xuandong Li in 90's last century. Many outstanding scholars and researchers in computer science and technology have collaborated or been trained by SEG. Now SEG has many projects with financial support by National Science Fund for Distinguished Young Scholars of China, National Nature Science Foundation of China, National Grand Fundamental Research 973 Program of China.